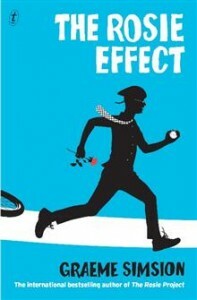 There is a lot of buzz around the publication of this book, it seems to have struck a chord with a lot of readers. Basically it is part memoir and part memorial to both T.H. White the author of “The once and future King” and “The Sword in the Stone”, (these books were written in the 1940’s and are about the legend of King Arthur and the Knights of the round table), and the author’s recently deceased and beloved father. 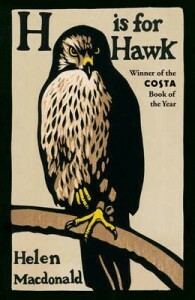 The story is about a young woman who has a fascination with Hawks and Falcons, literature and the history of England, she acquires a young Hawk and raises it and trains it to hunt. The book is basically a beautifully written meditation on Hawks and birds of prey and coming to terms with grief and finally reconciliation and acceptance of things past. Don Tillman and Rosie Jarman are now married and living in New York. Don has been teaching while Rosie completes her second year at Columbia Medical School. Just as Don is about to announce that Gene, his philandering best friend from Australia, is coming to stay, Rosie drops a bombshell: she’s pregnant. In true Tillman style, Don instantly becomes an expert on all things obstetric. But in between immersing himself in a new research study on parenting and implementing the Standardised Meal System (pregnancy version), Don’s old weaknesses resurface. And while he strives to get the technicalities right, he gets the emotions all wrong, and risks losing Rosie when she needs him most. Over the last few weeks I have read some great books, some wonderful books and even a book I couldn’t finish; although lots of my colleagues loved it. 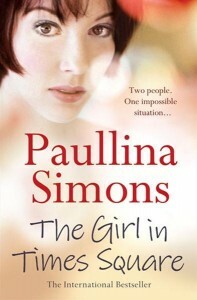 This is the first book I have read by Paullina Simons and I really enjoyed it. 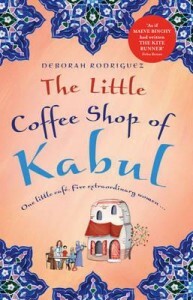 An overall enjoyable book. 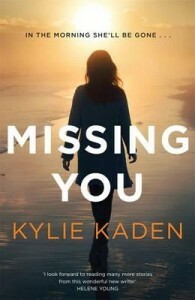 I discovered Kylie Kaden last year when I read Kylie’s first book ‘Losing Kate’ which I loved. When I saw that Kylie had a new book out I knew I had to read it as soon as possible. I finished ‘Losing Kate’ in one day and I promised myself I would take my time with ‘Missing You’ but I didn’t I just couldn’t put it down. 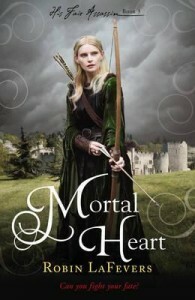 It was so easy to read and the characters were so easy to get involved with. Even a day later I find myself still thinking about the book. 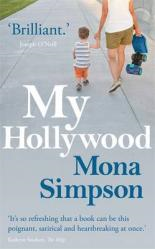 Claire, a composer and a new mother, comes to LA so her husband can follow his passion for writing television comedy. Suddenly the marriage—once a genuine 50/50 arrangement—changes, with Paul working long hours and Claire left at home with a baby, William, whom she adores but has no idea how to care for.